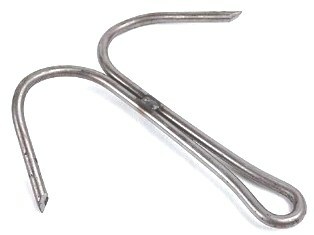 Heavy Duty 2 - Prong Steel Drags. Available in Fox or Coyote size. Fox Drags 1/4" ; Coyote Drags 3/8"